Compulsory 1yr Rural service to pursue PG courses: AcrossPG analysis - AcrossPG Exams! 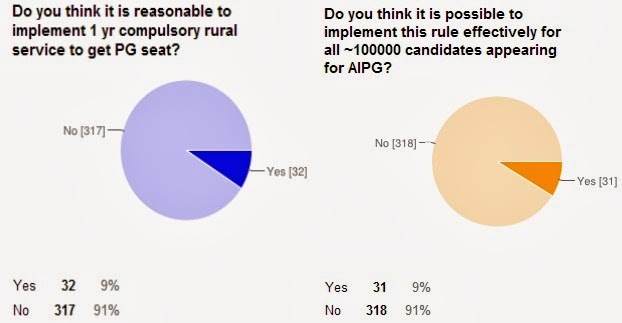 The matter of rural posting has once again came into the picture as the ministry has asked MCI to implement the clause to make 1 yr rural posting as the eligibility criteria for getting a PG seat. The official order from MOHFW and MCI is yet to be released. There is no official information from the Govt. so far. This NEWS has already created a environment of chaos and panic among medical graduates and students. There are some points which are not yet clear from this NEWS article, which created the confusion like "The decision will be applicable from the next academic session. All MBBS graduates seeking a post-graduate degree would have to work for one year in a village before they can take the PG entrance examination," does not mention the 2015 batch appearing for PG entrance or the batch taking admission to MBBS courses. There are two things about implementation of this rule. 1. Is it reasonable to force rural posting on doctors just to get higher educations? 2. Is it possible to implement, as in if this is made the eligibility criteria to get PG seat for all the applicants is it possible to provide rural service to all of them? Many students contacted us about this NEWS and its implications, but unfortunately we are unable to give the exact picture as official announcement is not out yet. But to help students we are analysing the situation here…. Lets look at the possible scenarios with the piece of NEWS we have. · In India approx. 30000-40000 students graduate with MBBS every year. · Then there are around 10000 foreign medical graduates out of them ~5000 becomes eligible for PGET after screening exam. · Candidates (doctors) of approx. 4-5 years post MBBS, those who could not manage PG in their previous attempts also appear in exam. · So Approx. 80000-90000 candidates apply for PGET. Out of these only ~28% have done 1 yrs rural posting so only 28% candidates will be eligible. · Second thing is all other 72% candidates (50000 doctors) will apply for rural area posts and as Govt. has made it as a eligibility criteria, it becomes responsibility of Govt to provide jobs to all the students. Govt cannot deny anyone the chance to take exam. This is highly impractical. Its very difficult to suddenly create so many rural posts. It need a lots of fund and then paramedical manpower is also required. · Some states does not even have so many vacancies. The students of these states will have to work in other states which again will cause language and cultural issues. · Candidates of some states like Assam will enjoy extra advantage over others because of the rural service bond in those states. · In this scenario only a few candidates of inservice quota and some states will be eligible. So in this scenario there will be lot of administrative and legal issues. Scenario 2: The rule will be applied to batches passing MBBS from year 2014 onwards. This will create injustice to these students as they will be suddenly become ineligible. Both the batches those who are starting the internship and those finishing internship. As the order will be passed in July many students who finished internship in Dec - Jan will suffer due to delay in notification and will loose the chance and their precious one year. Scenario 3: This rule is applied for students taking admission to MBBS from year 2014. If at all this rules seems practicable is this scenario. But looking at the havocs in last 6 months in PG entrance exams, nothing is possible to say. 2. Why target Post Graduate education? - This is highly unreasonable for the govt to hinder the opportunities of higher education from the citizens. The govt should come up with other planning for improving Health Care in India. 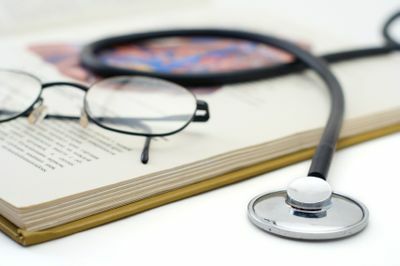 Compromising higher education of doctors is detrimental. uninterrupted education of deserving students is their right. 3. Using force in place of motivation. - It has been proved again and again in many different situations that work done under force never give good return. 4. Students will move towards Private institutes which cause rise in fees or to say money for fixing the seat. 5. New students will loose interest in Medical Field. 6. Students will try to move outside India. Post your comments about how this new policy affect medical education in India.